Few New York residents have probably heard of the State and Municipal Facilities Program, or SAM, but in recent years, it has been one of the top avenues by which state lawmakers “bring home the bacon,” providing many millions of dollars in funding for district projects. Otherwise known as “pork,” these projects include things like new or renovated parks, schools, libraries, and more, with far greater funding going to legislators based on their political power. However, in this year’s recently-adopted state budget, there are no new appropriations for SAM. And SAM is also different because it is lump sum appropriation, with specific project funding decided outside the budget process by the governor and legislative leaders. Started in 2013, SAM is a creation of Governor Andrew Cuomo and legislative leaders. It is controlled by the Dormitory Authority of the State of New York (DASNY), one of the state’s many public-benefit corporations, responsible for assisting state and local governments, as well as non-profits and colleges, with construction, financing, and other services. Currently-planned SAM projects include everything from renovations to the Brooklyn Public Library to creation of a skateboard park in Albany to new fire trucks and patrol vehicles in Poughkeepsie. DASNY’s board consists of five gubernatorial appointees, an appointee from the President of the State Senate, another from the Assembly Speaker, and four ex-officio members: the State Comptroller, Education Commissioner, Health Commissioner, and the Budget Director. The health commissioner and budget director are both appointed by the governor and the education commissioner is appointed by the state’s Board of Regents. The program has long been criticized as an unnecessary discretionary fund -- in other words, a politically advantageous “slush fund.” SAM is one piece of the state’s larger capital budgeting, mainly for construction projects. Criticism has also come from good government and fiscal watchdog groups. E.J. McMahon, research director for the Empire Center for Public Policy, said last year that state lawmakers were “basically like teenagers with credit cards” when it comes to using SAM. Surprisingly, in this year’s state budget, there were no new appropriations for SAM. However, Friedfel notes that state lawmakers “have not allocated all of the money previously appropriated so they may have decided to just spend down existing appropriations this year.” There still remains over $1.9 billion in SAM appropriations that have gone unspent since the program’s creation in 2013, and that money is carried over into the new fiscal year 2019-2020 budget that took effect April 1 of this year. As of April 8, 2019, there are over 1,800 grants currently administered by DASNY under SAM that amount to over $900 million in planned spending. This leaves a little over a $1 billion in discretionary funds for state lawmakers to access, which is more funding than SAM has ever spent in a single year. There has been little indication from Albany leaders if there will be additional SAM funding in the capital budget when it is decided. The state’s current fiscal outlook, the availability of reappropriated funds, and the demise of the Independent Democratic Conference (IDC) all appear to make additional SAM appropriations unnecessary or unlikely. The program’s 2013 introduction coincided with the first state budget following the 2012 state legislative elections, in which Democrats won a majority of State Senate seats. However, the IDC partnered with Senate Republicans to maintain the Republican-led majority. The addition of a new discretionary spending program a few months after the deal was struck was suspicious to many. 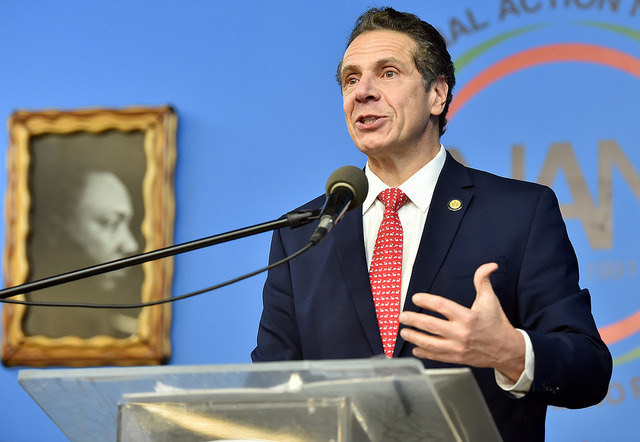 There has been reporting to indicate, as well as widespread belief, that Governor Cuomo, now a third-term Democrat, preferred and encouraged the creation of the IDC and its coalition with Republicans. SAM was utilized over the years to benefit members of the IDC handsomely, while the funding also benefited Senate Republicans and Assembly Democrats. Several years after its creation, in the 2018 budget, an additional $90 million was added to SAM’s annual appropriations. This was a few weeks before the IDC’s dissolution -- a deal Cuomo brokered -- and five months before that year’s primary elections, when six of the eight IDC members were defeated by Democratic challengers. Former State Senator Jeff Klein, who had been the leader of the IDC, was one of the primary beneficiaries of SAM projects before his loss to Alessandra Biaggi in the 2018 state legislative elections. A 2015 article in Politico New York explained “Jeff Klein’s alliance with Republicans has paid off.” Klein received almost $12 million in earmarks, much of which came from SAM, over three years between 2013 and 2015, according to Politico. Klein’s earmarks were triple that of any other state senator at the time, though other members of the IDC also reaped significant benefits, as did other legislators. 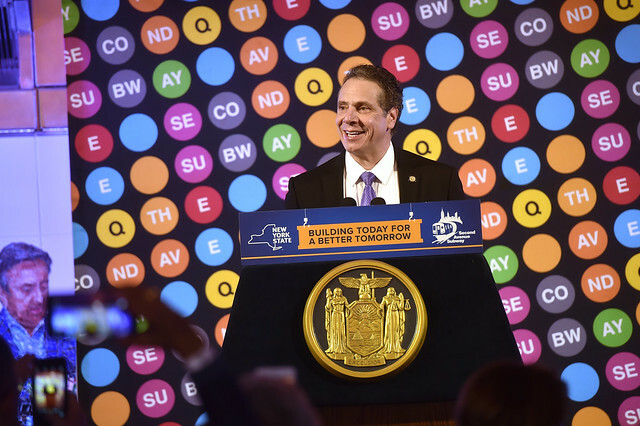 While Cuomo’s major infrastructure projects continue apace, it is unclear what the fate of the SAM program will be, whether the reallocated money will be spent down or whether new money will be added. On April 12, Cuomo issued 123 line-item vetoes to cut $44 million in capital spending added by the Legislature, in order “to maintain a properly balanced budget,” the governor wrote, and for technical reasons, such as being duplicative or were unnecessarily held over from several years prior. While SAM is among the largest sources of funding legislators can use for capital projects in their districts, it is not the only source. And according to Friedfel, the final state budget also took out a provision that would have given the state’s inspector general greater oversight of discretionary spending. As focus on the 2020 Census intensifies, one key aspect of the discussion is how the population count will impact legislative representation and redistricting. 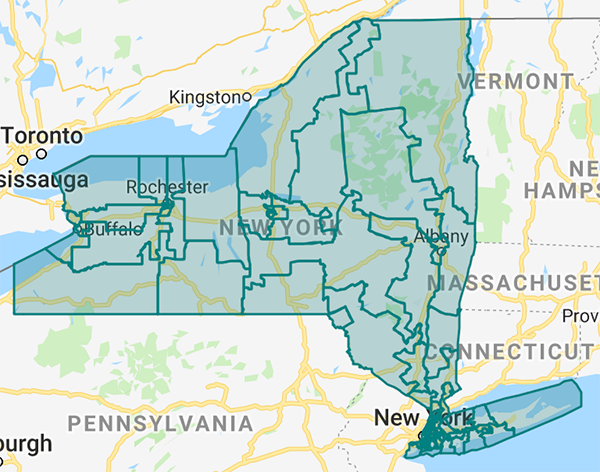 Along with new congressional districts -- New York stands to lose at least one if not two seats in the House of Representatives -- the state will also redraw its legislative districts for the State Senate and State Assembly, along with local legislative bodies. One important and controversial element in both the population count and the subsequent redistricting in the 2010-2012 cycle was the location of state prisons and how prisoners were counted in the Census; specifically, whether prisoners are counted as residents of the location of the prison they are held in or of their prior home address. Prison populations had significant impact on local counts and therefore district lines, particularly in some of the more rural areas where most state prisons are located. At the same time, state prison population in New York has been on the decline since 1999, when it was at a peak of 71,649 prisoners. Now, that number has fallen to 46,973 prisoners, according to a press release from Governor Andrew Cuomo. Up until 2010, the Census counted prisoners in the districts they were incarcerated in, despite most of them coming from New York City and Long Island, according to data from the New York State Legislative Task Force on Demographic Research on Reapportionment (LATFOR), which has oversight of the redistricting process. The prison count has had a significant impact on redistricting within New York, adding to the population of certain regions of particular importance for State Senate seats. While the Assembly has been dominated by Democrats for decades now, the Senate has largely seen a very close split between Republicans and Democrats. Republicans controlled the Senate for most of the past decade, including during the 2012 redistricting, until this year -- Democrats won a fairly large majority in last year’s elections. When Democrats last had control of the Senate, briefly in 2009-2010, a controversial bill was passed amid the 2010 Census mandating that prisoners are counted based on their last known home addresses. While counting prisoners at their prior addresses is likely to remain the case going forward, some redistricting experts are concerned that this method of counting prisoners may not be deployed because newer legislation does not address it. In 2014 and after much criticism of the 2012 redistricting process as overly political, New York voters approved a ballot measure creating a new, more independent redistricting process for 2022 and beyond. The 2020 Census count will begin in April of next year, without full clarity on the prison count question. Prison populations can have significant impacts on how district lines are drawn, and those lines can greatly influence legislative balances of power. How did prisons impact redistricting? For State Senate and Assembly redistricting, the Census is taken, then the total number of people in the state is divided by the total number of districts -- 150 Assembly districts and 63 Senate districts. District lines are then drawn necessitating that a similar number of people are counted within each district. In 2010, many State Senate districts in upstate New York were underpopulated relative to other districts, giving upstate voters more influence over their representatives than voters in overpopulated districts downstate, including in New York City, where voter power was deflated. When taking away the prison population of seven of those upstate districts, they became severely underpopulated, further inflating upstate voters’ power, according to the Prison Policy Initiative. Senate District 45, which includes Clinton, Essex, Franklin, Hamilton, Warren and Washington Counties, had one of the highest prison populations, 14,161, as of 2007, according to the Prison Policy Initiative. Taking away that prison population, the district had almost 30,000 fewer residents than the 2010 average population per district of 312,550, according to the Center for Urban Research at the CUNY Graduate Center. Prison population counting also affected redistricting on a local level in places like Rome, New York. According to information from the Prison Policy Initiative, in Rome’s second ward, half the population counted in the census was incarcerated, inflating the local non-incarcerated population to double its actual size. Thus voters in Rome’s second ward had roughly twice the influence they would otherwise demand; prisoners are not allowed to vote in New York. Some upstate populations inflated by prisoners meant that more funding and political attention was allocated to predominantly Republican communities, in part through districting, helping the party hold a firmer grasp over the State Senate. They strongly advocated for a bill (S6725A) sponsored by then-State Senator Eric Schneiderman, a Manhattan Democrat (who went on to become New York Attorney General, a position he resigned from in 2018 amid a domestic abuse scandal). The bill required incarcerated people to be counted based on their home residence and not based on the address of the prison where they are incarcerated. This legislation was passed, along with a provision postponing the deadline for prisons to report inmates’ home addresses from July 1 to September 1. It was introduced as an amendment to the New York State revenue budget bill in August 2010 -- four months after the 2010 Census count had begun in April. Almost 80 percent of the state’s prison population was then successfully recounted based on inmates’ last known addresses. The state prisoners whose addresses were not identifiable, as well as all federal prisoners, were not taken into account when determining legislative districts. The legislation mostly stopped upstate communities from gaining additional political influence and resources based on housing prisons. At the time, the move was hotly contested, but it has not been discussed much since. Justin Levitt, currently a law professor at Loyola Law School, who then served as counsel at The Brennan Center for Justice, believes redistricting was made fairer as a result of the legislation. “In the districts where there are prisons, the surrounding communities are represented by their representatives, but the people who are artificially stuck in that neighborhood are represented by legislators in the areas where they are from,” he said in a phone interview. The legislation faced fierce opponents, many of whom were legislators in districts home to prisons. Senator Betty Little, a Republican representing counties including as Clinton, Franklin, Essex and Washington Counties in Northern New York, was one of the senators most strongly against the legislation. Senator Little’s district housed 13 state and federal prisons in 2009, although three of those have now been shut down based on New York Department of Corrections’ prison maps. The new method of counting prisoners meant that her district would have to be redrawn to accommodate more people so that it was not severely underpopulated. 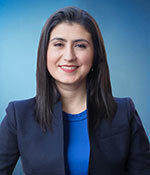 Little filed a lawsuit in April 2011 against the Legislative Task Force for Research and Reapportionment (LATFOR), a task force set up by minority and majority leaders of the Senate and Assembly to determine district lines. The lawsuit aimed to strike down the prisoner counting legislation. She lost in Little vs LATFOR. The plaintiffs argued that the legislation was unconstitutional, did not correctly count inhabitants, and that the method of counting inmates did not line up with what was recommended by the U.S. Census Bureau. The New York Supreme Court ruled that the legislation did not obstruct the constitution beyond a reasonable doubt. It also determined that prisoners’ addresses at the prisons should not be viewed as permanent. The ruling also quoted Census Bureau Director Robert M. Groves, who said that states may count prisoners however they please. Today, Senator Little still argues her case. “My contention has been that incarcerated individuals should be counted where they are serving their sentence, their 'usual residence,' not where they are from and may or may never return," Little told Gotham Gazette via email. "Where they utilize services is where they should be counted because the allocation of resources for these services is often apportioned based on representation and population." 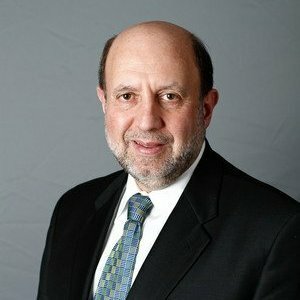 Jeffrey Wice, who has served as counsel to Democrats during state legislative redistricting, and is currently a fellow at SUNY Rockefeller School of Government, is concerned that New York may go back to counting prisoners in the districts where they are incarcerated as 2022’s redistricting process approaches. Wice points to the redistricting amendment made to the New York State constitution in 2014, based on popular vote after passage by the Legislature. It stated that a ten-person redistricting commission would be appointed to determine district lines in the redistricting cycle of 2020-2022, and refined the criteria for commissioners and that the commission would take into account when determining district lines. The impact of counting prisoners in the census, wherever they are located or tallied, is decreasing as the prison population is decreasing. 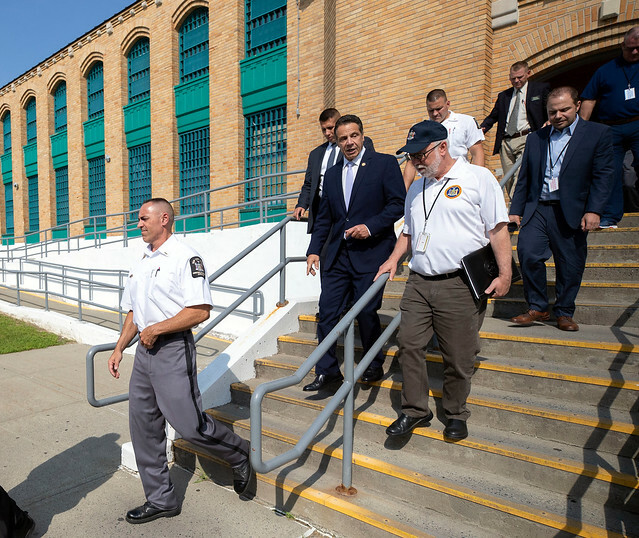 In the new state budget, the Legislature agreed to allow Cuomo to shutter up to three more prisons, the number will depend on which prison beds are identified for elimination given the declining inmate populations. It’s unclear how the closure of two or three prisons may impact the populations in other prisons, where some inmates may be transferred. Meanwhile, the budget also included new criminal justice reforms that promise to significantly reduce jail and prison populations, including bail, speedy trial, and discovery reforms. The likely continuing reduction in prison population across the state, plus the prison population-counting legislation passed to apply to the 2010 Census and beyond, and the new redistricting process set to take hold based on the constitutional amendment that was passed in 2014, may ultimately ensure counting of prison populations will play less of a role in determining legislative district lines in the 2020-2022 redistricting cycle. Following the 2020 Census, New York will kick off the decennial redrawing of its state legislative and congressional districts to ensure equitable representation based on population. But the next redistricting process is untested so far, having been approved after the 2010 Census when New York saw a severe undercount, contributing to the loss of one congressional seat, followed by a redistricting that many observers and elected officials criticized for creating overly complicated state legislative districts on partisan lines. Looking ahead to the upcoming process, experts are hopeful, though uncertain, that the new redistricting method -- approved by voters via 2014 ballot referendum -- will lead to cleaner, more representative districts that improve the state’s democratic process once they take effect in 2022. New York currently has 150 Assembly districts, 63 Senate districts, and 27 for the U.S. House of Representatives, all of which could change with the next redistricting when a new advisory commission of mostly legislative appointees will recommend the new boundaries for districts. That commission is meant to reduce political influence, though its proposed maps will not be binding. Democrats now control the entire state Legislature, though they will have to keep control, especially of the Senate, through the 2020 elections. Republicans held the state Senate when the last round of redistricting took place, with a split Legislature in part leading to heavily gerrymandered district lines. At least in theory, legislative leaders will be less able, and therefore likely less inclined, to manipulate the next redistricting process, which offers a degree of parity and safeguards against partisan politics. The census is the first big next step, and with the subsequent redistricting it determines representation of a state’s population in Congress and, for New York, the state Senate and Assembly. Besides the threat of billions in lost federal funding, an inaccurate census count can set the stage for a skewed drawing of legislative and congressional districts. New York has seen a net out-migration of more than a million residents since 2010 and stands to lose at least one seat in Congress, if not two, if the state’s population is not adequately counted. Following the last census, in 2010, the state’s redistricting process came under heavy scrutiny for lacking transparency and for creating state Senate districts that seemed designed to advantage Republicans and upstate and suburban districts, diluting the power of New York City residents who tend to lean Democratic. The process also strengthened Democrats’ control over the Assembly, though that chamber has traditionally been dominated by the party. Governor Andrew Cuomo approved of the redistricting plan, which was put forward by the state’s Legislative Task Force on Demographic Research and Reapportionment (LATFOR) after 23 hearings across the state. At the last LATFOR hearing, one member, then-state Senator Martin Dilan, a Democrat, said he had considered boycotting the meeting because “the entire process has been a farce, a sham, has been a waste of money, and I believe that we have not listened to the citizens of the state of New York, and the plan that's being presented today to the Legislature is something that's putting the cart before the horse.” The redistricting plan, he said, was presented to the public and to the Legislature without LATFOR voting on it first. But as the Legislature adopted the redistricting plan, it moved forward with an amendment to the state constitution, approved through voter referendum, which mandated the creation of a new “independent redistricting commission” to redraw district lines. In 2021, that commission will be created for the first time, composed of ten members -- two each appointed by the Assembly Speaker, Senate majority leader, and minority leaders in both houses; and two chosen by a majority of those eight appointed members. The legislation set restrictions on who can be members, prohibiting anyone who has been in the previous three years a state legislator, congressional representative, statewide elected official, legislative or state employee, lobbyist, or political party chair. It also restricts the spouses of legislators, representatives, and statewide officials from serving. The commission will have two co-executive directors, representing the Democratic and Republican parties. LATFOR, chaired by Assemblymember Marcos Crespo, a Bronx Democrat, is meant to provide assistance to the commission. Crespo’s office did not respond to repeated requests for comment for this story. The new commission will be guided by clearer safeguards and criteria than its predecessor as it spends months holding public hearings across the state. The authorizing legislation requires the commission to hold at least one hearing in the cities of Albany, Buffalo, Syracuse, Rochester, and White Plains, and in counties including the Bronx, Brooklyn, Queens, Staten Island, Manhattan, Nassau, and Suffolk. The law mandates that districts should not be drawn in a way that could lead to “the denial or abridgement of racial or language minority voting rights.” It requires the commission to create equally populated districts as far as possible and to provide explanations in case of deviations. The law also protects against the party in power from exploiting its position. If the leaders of the two legislative chambers represent different parties, the newly drawn maps recommended by the commission must be approved by a majority vote of each house. But, if both chambers are controlled by the same party, approval would require a two-thirds majority vote. Experts agree that an effective redistricting can only take place if the state carries out a thorough census effort and counts each and every resident of New York, and that the process is as free of politics as possible. The 2020 Census is expected to be particularly challenging for several reasons -- the federal government is underfunding the Census Bureau; the count will be carried out largely through digital methodology for the first time; the Trump administration is attempting to add a citizenship question (which is being challenged in court) amid already rising concerns among immigrant communities, particularly undocumented immigrants, that they could fall under the federal government’s scrutiny; and the state has only allocated $20 million for community outreach though advocates called for twice that amount. As Wice and the others noted, an inadequate census would raise questions about the equitable reapportionment of districts. Undercounts, particularly of hard-to-count communities, can lead to redrawing district boundaries in ways that would create overpopulated districts, effectively watering down their representation, while over-representing others. There also remain several other open questions about the process, including how independent the redistricting commission will really be and whether the districts it draws will ultimately be approved by the Legislature and Governor. In the last round of redistricting, the Legislature deadlocked on congressional maps and a judicially appointed special master ended up drawing the maps that were later adopted. Simmons is eagerly awaiting the Supreme Court’s decision, expected this summer, in a separate case that could bring an end to extreme partisan gerrymandering, which she is hoping will strengthen the state redistricting process as well. The state Legislature passed a law in 2010 requiring that prison populations be counted based on inmates’ previous residence, but the constitutional amendment creating the redistricting commission does not address the issue. Prison populations can especially bolster upstate area population counts if prisoners are counted based on their prison location. Rudensky said the public eye will keep the Legislature honest. “There’s gonna be a lot of attention on it, focus on it and hopefully that will help make sure that the reform is a success,” he said. Note - this article has been updated to clarify that congressional maps were drawn by a court-appointed special master in only the previous round of redistricting, not the previous two rounds. The window for meaningful action on climate change is narrowing. Every year, as more climate impacts become “locked-in,” changes we have to make to save the planet become even harder to implement. Right now, fossil fuel industry campaign contributions to politicians are holding back the solutions we need. If we want to pass climate policies that could actually help reverse the climate crisis, then we also need to fix our democratic system that gives too much power to wealthy donors and big polluters. In New York, a state where wealthy donors contribute an outsized proportion of funds to campaigns, we have the opportunity to build a public campaign financing system that can address this imbalance. These two crises are interconnected. Nationally, the fossil fuel industry has tightened its stranglehold on American politics. In the 2018 election cycle alone, $89 million in campaign contributions came from the oil, gas, and coal industry with the vast majority going to Republicans. Contributions from the fossil fuels sector put a stop to ballot initiatives that would have created landmark state climate and energy legislation here in New York—and across the nation. In the battle over fracked gas development in New York, oil, gas, and fracking support industries spent $10.7 million on contributions and $33.5 million on lobbying from 2007 to 2013, stalling several fracking restriction measures. While grassroots activists eventually succeeded in pushing Governor Cuomo to take executive action to ban fracking, this influx of pro-fracking cash signals potentially bigger battles ahead as the state considers a 100% renewable energy target. In 2018 in Washington state, $31.5 million was pumped mostly from mostly out-of-state oil and gas industry into a campaign that ultimately defeated a carbon tax measure that would create revenue for renewable energy and vulnerable communities. And a proposition that would have set restrictions on gas fracking in Colorado was defeated after oil and gas spent over $26 million in the state. That is why a growing chorus of environmental advocates is calling for public financing of elections — which expands the contributions of small donors through public matching programs. With a fair elections system, elected officials would be more responsive to the electorate, an overwhelming majority of which believes we need bold policies to address climate change. One of our best hopes today is here in New York, where lawmakers are on the cusp of passing groundbreaking climate policy and the state budget has just included a commission mandated to develop a public financing system for the state. Public financing of elections would fundamentally change how Albany works, and amplify the power of working people and people of color. In the long term, fair elections mean that our elected officials will be more engaged with constituents in their districts and responsive to public concerns and needs. To implement an effective fair elections program, legislators and Governor Cuomo must appoint commissioners committed to expanding access to our democracy. A robust program would also include a 6-to-1 contribution match for low-dollar sums, lower contribution limits, and an independent agency to administer the program. In order to limit the influence of big donors who seek to block effective climate policy and other urgent reforms, the commission must act quickly and decisively. Kicking the can down the road is not an option. Simultaneously we can pass the Climate and Community Protection Act (CCPA) to put New York on a path to 100% renewable energy economy-wide. The CCPA is ground-up policy, with a coalition of over 160 groups from across the state backing the proposal. The bill puts in place requirements for energy investments to go to disadvantaged communities, and working groups that include community group representatives to oversee implementation of state energy plans. This means more people could be part of shaping an equitable energy transition for New York. The impacts of climate change are not felt equally by all. We need to ensure a more inclusive political process to address everyone’s needs, especially those most vulnerable to climate impacts and pollution, and communities that have been historically excluded from political decision-making. We have the technology we need to begin a rapid transition to a renewable energy economy. Our ability to implement climate solutions is, therefore, a political question. With the majority of New Yorkers in support of government action to curb climate change, a legislature that is more responsive to the electorate could usher the ambitious climate policies we need. Public financing and bold climate measures like the CCPA can reorient our politics to expand who is heard and who is at the table. 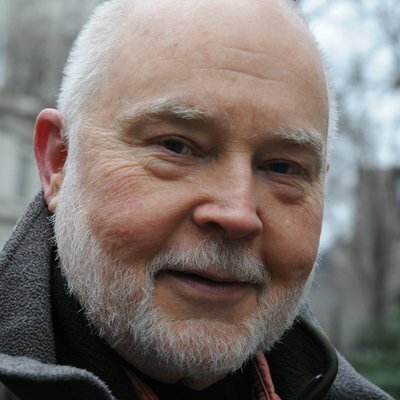 Bill Lipton is the New York State Director of the Working Families Party. Adrien Salazar is a Campaign Strategist with Dēmos and one of the 2019 Grist 50 Fixers. On Twitter @BillLipton of @NYWFP & @adrien4ej of @Demos_Org. 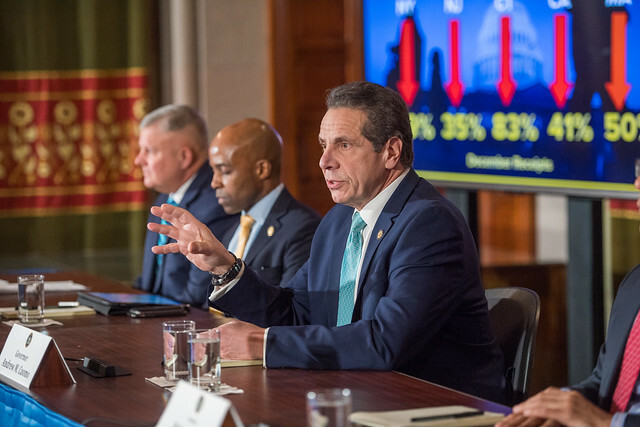 At a Sunday press conference, following his overnight announcement of a $175.5 billion budget deal, Governor Andrew Cuomo heralded a criminal justice reform agreement with the Legislature, and thanked one member of the Assembly in particular. “I want to applaud Assemblymember Latrice Walker who really was very helpful and very constructive, and understood the tensions,” he said of the Brooklyn representative. Cuomo was referring to the especially contentious issue of bail reform. For weeks he and legislators had debated how far to go in amending a system intended to secure defendants return to court, but which in reality has catalyzed the disproportionate pretrial incarceration of poor black and Hispanic New Yorkers. Queens Senator and Majority Leader Michael Gianaris managed to collect 25 co-sponsors for his advocate-backed bill to eliminate cash bail entirely, with the option of pretrial detention only for certain violent felonies. Governor Cuomo and Assembly Speaker Carl Heastie also previously pledged to eliminate cash bail this session. But prosecutors and a faction of Democrats insisted that judges would still need discretion to remand defendants deemed dangerous. What they viewed as crucial for public safety was, to Gianaris and his allies, tantamount to replacing cash bail with a system just as susceptible to racial bias. The ultimate compromise -- accompanying reforms intended to speed up trials and boost early defendant access to evidence -- resembles a Walker bill that passed the Assembly last session. It eliminates cash bail for most misdemeanors and nonviolent felonies, ensuring pretrial freedom for what amounted to about 90 percent of 2018 arrests statewide. Conditions on that freedom could include mandatory check-ins or electronic monitoring. 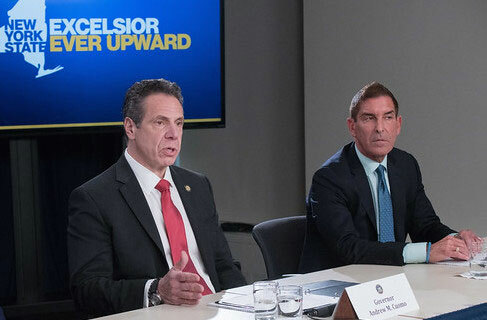 Recent pressure from Cuomo, Long Island Senate Democrats, and the District Attorneys Association of New York (DAASNY) ultimately shifted negotiations towards the Assembly framework, according to legislators and advocates who observed these developments. All three parties -- with Democratic Senator Todd Kaminsky negotiating on behalf of the so-called “Long Island Six” -- called for some amount of judicial discretion to remand people deemed dangerous to a specific person or persons (language that appeared in Cuomo’s original budget proposal). Fearful that this discretion would encourage more pretrial incarceration -- not less -- Gianaris says that he and Senate co-sponsors began discussing alternatives with Assembly Democrats, led by Walker. 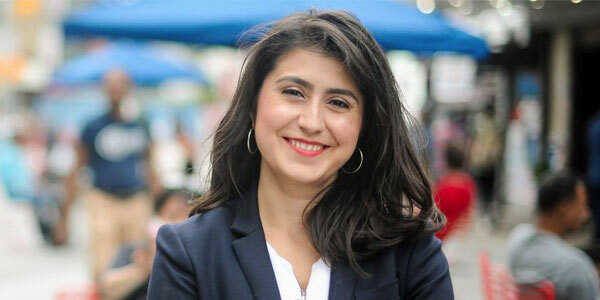 Her 2017 legislation had appeased Assembly Democrats who saw bail as an important tool to separate defendants from survivors of domestic violence. At least with bail, she’s argued, defendants still have an avenue -- if they can afford it -- to pretrial release. “The perfect would've been the whole elimination of bail, but I don't believe in making the perfect the enemy of the good,” Cuomo told WNYC’s Brian Lehrer on Monday, calling the final agreement, “the most historic criminal justice reform in modern history in the state." Mayor Bill de Blasio, who has endorsed dangerousness considerations in the past, told anchor Errol Louis on Monday’s “Inside City Hall” that he is “obviously thrilled” about the bail agreement, which he predicts will “supercharge” efforts to decrease New York City’s jail population. Numbers have been dropping precipitously for decades -- essential to a city plan to close the Rikers Island jail complex. 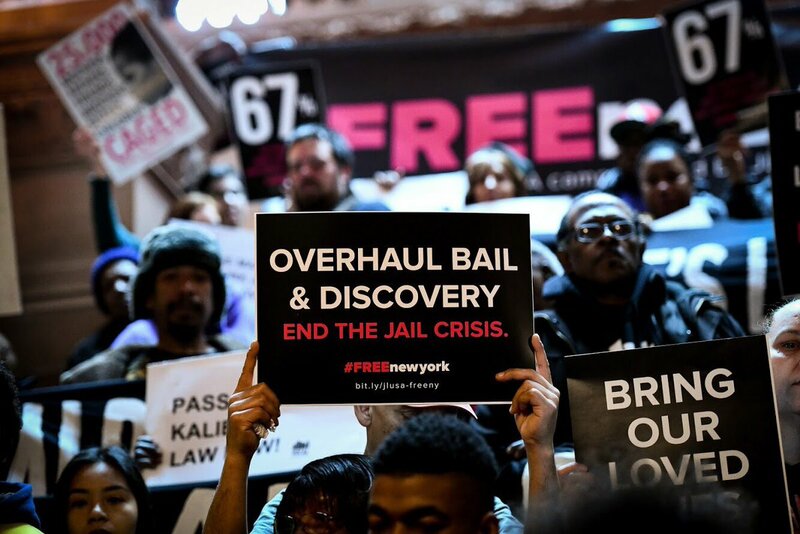 Advocates with the FREEnewyork campaign, a coalition of more than 150 grassroots groups that backed the Gianaris bill (carried by Danny O’Donnell in the Assembly), say they are very pleased that this compromise will greatly decrease pre-trial detention. As of September, more than a third of the 8,200 people in New York City jails were held pre-trial on misdemeanors or nonviolent felonies. But there is lingering frustration. With Democratic control in both houses of the Legislature, advocates had been hopeful criminal justice reform would be handled outside of the harried budget process where horse-trading often happens. 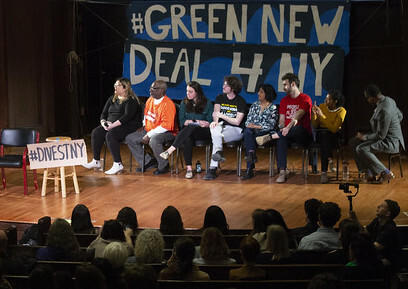 “It seems obvious that passing significant policy at 3 a.m. on a Sunday morning is not good process,” said VOCAL-NY organizer Nick Encalada-Malinowski. For defendants charged with sexual assault misdemeanors and most violent felonies, judges will still have the option to set bail, putting poor defendants at a disadvantage. Certain felonies in this category will also be eligible for remand, including witness intimidation and terrorism-related charges. Last year’s Walker bill would have required an evidentiary hearing for anyone eligible for pretrial detention. Judges would have had to review evidence within days of arrest and “explain themselves a bit” before sending defendants to jail pre-trial, Schaffer explained. Advocates saw this as a useful check, considering many convictions stemming from violent felony arrests -- 31% statewide in 2017 -- are misdemeanors. But these hearings were negotiated out of the budget agreement. The budget bill also requires desk appearance tickets for most misdemeanors and Class E felonies -- including promoting gambling and criminal contempt -- a measure Gianaris says he is proud of (though advocates say they’ll be watching how police officers use their discretion to arrest in some cases). Gianaris’ bill did not address the question of electronic monitoring, while the adopted budget states that only certain defendants are eligible -- those charged with a felony, domestic violence or sexual assault misdemeanor, or with a recent violent felony conviction. Anyone ordered to wear an ankle monitor cannot bear the cost of that device. These guidelines, which extend to charges that are not eligible for pretrial detention, are concerning for JoAnne Page, president of the Fortune Society, a nonprofit that offers reentry services. “The fear is electronic monitoring will be utilized excessively and indiscriminately on people – mostly people of color who come from the same low-income neighborhoods in New York City that are disproportionately impacted by the criminal justice system – who never would have been held on bail in the first place,” she warned. Cuomo, who ultimately insisted that criminal justice reform be addressed in the budget, told reporters this weekend that he plans to return to the bail question -- and outcomes for people charged with violent felonies, specifically. “That's something we're going to continue to work on,” he said Sunday. Assembly Speaker Carl Heastie also told the New York Law Journal Monday that “we are going to get to the finish line to make it a completely cashless bail system.” Gianaris says that he is still committed to this outcome, as well. There's a new state budget, with $175.5 billion in spending and a lot of policy included. We break down some of the key takeaways. Perhaps the most contentious post-budget issue in Albany's state legislative session that will extend from April through much of June will be rent regulations. 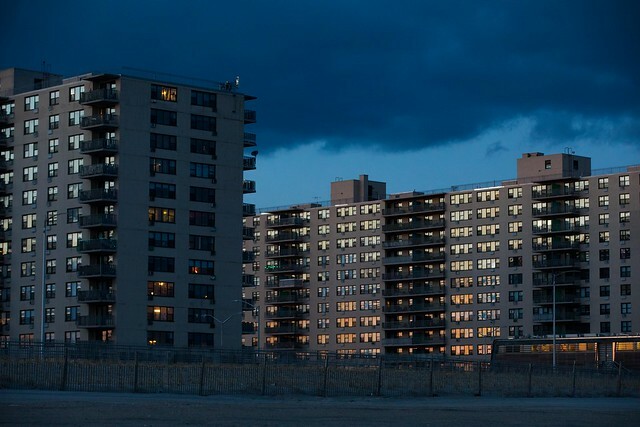 Those regulations apply to roughly 1 million New York City apartments home to roughly 2 million people, and include things like the "vacancy bonus," vacancy decontrol, and major capital improvements. But advocates and some legislators are pushing for not just slight modifications and extension of the regulations that are set to expire this year, but sweeping tenant-friendly changes. Some are also calling for the extension of rent regulation statewide, which would apply to newly-constructed affordable housing for the future. One on side of the issue is the landlord lobby, on the other side, the tenant lobby. We were joined by a leading representative of each: first, Frank Ricci, Director of Government Affairs for the Rent Stabilization Association, then Michael McKee, treasurer of TenantsPAC.